Ah, I see that quote mining and arguments from misplaced authority are as alive and unwell among Intelligent Design advocates as they are among more traditional creationists. I wonder why that is? The technique is identical, as this letter by Richard Kirby to the editors of The Newnan (Georgia) Times-Herald shows. The first thing you notice is the near absence of any references and the complete absence of any context. While Michael Behe's Darwin's Black Box is named, it is not mentioned that Behe accepts common descent (as the Disco 'Tute is fond of reminding us, precisely because it is such an anomaly in their ranks), which is what most people think of when evolution is raised. It is mentioned that "Loren Lovetrup" (actually Søren Løvtrup ... accuracy is not the forté of quote miners) is not a creationist, but it is not mentioned that Behe and David Berlinski are in the pay of the Disco 'Tute or that A. E. Wilder-Smith was a young-Earth creationist. Of course, one contrarian scientist like Løvtrup is evidence of nothing except that science is done by human beings and the necessity of peer review and scientific consensus. Sir Fred Hoyle is invoked, though why an astronomer's opinion as to biology should be credited is not explained. The opinion of Karl Popper -- a philosopher -- that Darwinism is "a metaphysical programme" is cited, without any understanding of what Popper meant by that or mention of the fact that he changed his mind. Pierre P. Grasse is recalled but not the part where he said "Zoologists and botanists are nearly unanimous in considering evolution as a fact and not a hypothesis. I agree with this position ...". And there is the mandatory creationist quote mine from Stephen Jay Gould to the effect that "The fossil record with its abrupt transitions offers no support for gradual change," without explaining why that in any way refutes evolution ... obviously because the writer has no clue what evolution is. Sir Francis Crick, discoverer of DNA, now favors intelligent design. Since Crick has been dead going on six years, its doubtful, to say the least, to say that he is doing anything now. And his brief flirtation with "panspermia" where it was posited that life on Earth was seeded by extraterrestrials, is hardly compatible with ID, as Ben Stein demonstrated. 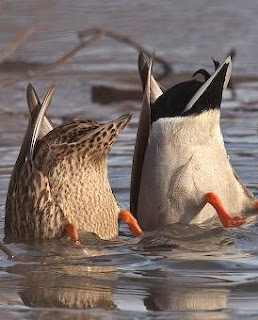 So, how much does the duck need to quack before we decide what ID is?